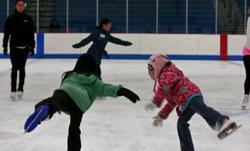 Lace up your skates and enjoy our ice arena during our public skate events. All open skate events do not require online registration. Just show up!